With the 4th of July coming up in the United States we thought that we’d take this time to teach you how to photograph fireworks with your camera. It doesn’t even have to be an expensive camera either, a regular point-and-shoot or even a film camera can do the same job as a big expensive DSLR can when taking photos. Granted having a DSLR and a nice lens does help with clarity and controlling your camera a little better. First and foremost one of the number one things that you want to set on your camera is use a manual mode and set the ISO sensitivity to 100, 400 is fine but the lower the number the better here. The ISO is how sensitive your camera is to the light coming into the camera, the higher the ISO the more sensitive, but with that you can get noisy photos. The general rule is to shoot at the lowest possibly to combat having noisy photos. Next you want to set your aperture, your aperture is how much light is coming into the camera. For firework purposes you want to shoot with your aperture set to f/8 or higher so you’ll be able to get everything generally in focus. Anything wider than that and you’ll have to know exactly what you are doing to get the fireworks in focus properly and it can be kind of tricky. When you have a closed down aperture you need to compensate with a longer shutter speed. When shooting fireworks and wanting to get the light trails you want to at lease shoot for a couple seconds to get all of the light trails and effects in the shot from the fireworks. If you are shooting with a longer shutter speed you need to remember to have some sort of stabilization when shooting for that long or you’ll just get a very blurry image and ruine your shot. A simple tripod will do this task very easily and give you a nice stable place to mount your camera to get those shots. 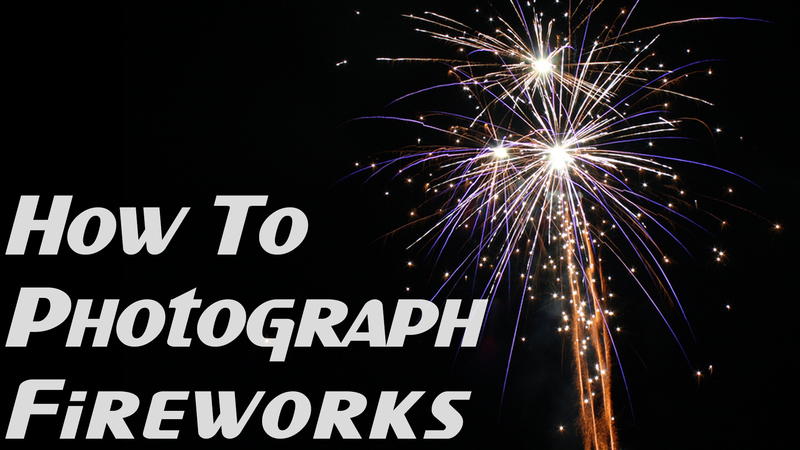 The 4th of July for photographers, especially those are just getting started with photographing fireworks, is a time where you can experiment and get to know your camera and how to use it in manual mode. It really makes you think about what to set when you are taking the photos. Coming out of the 4th of July, you might end up with 100 or more pictures and only 10 or 20 of them being good to post. That’s ok and is expected with any photographer. Just have a fun and safe 4th of July and share your firework photos with us.